In 2013 one of my best friends died after suffering an illness. 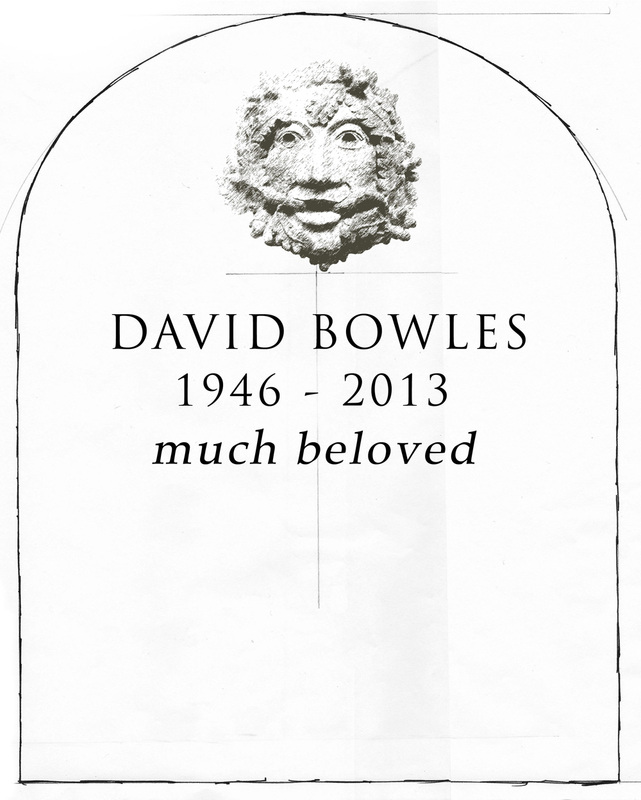 He was an artist and maker and one of the most creative people I’ve ever met. 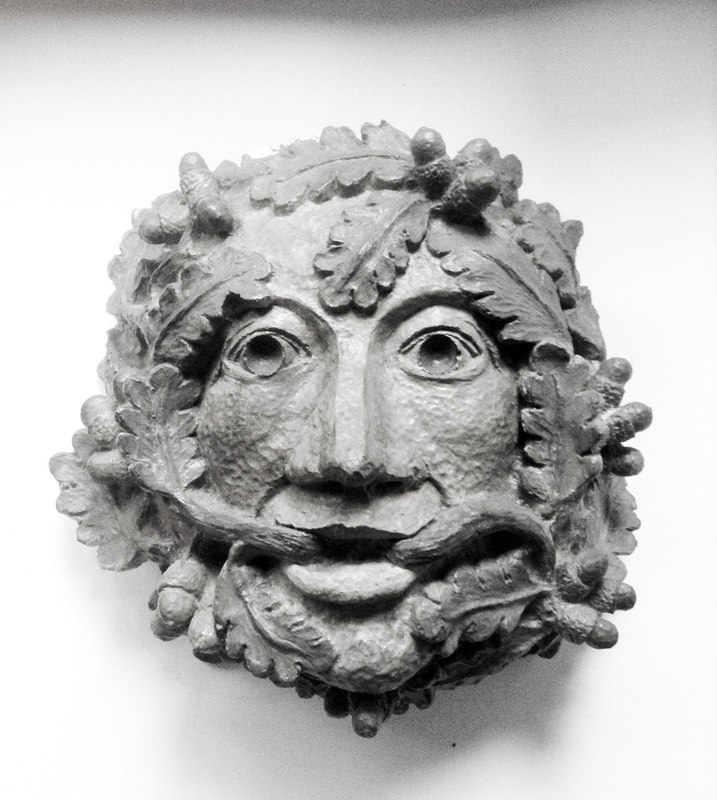 His family asked me to produce designs for a gravestone which would include one of his Green Man sculptures (below). 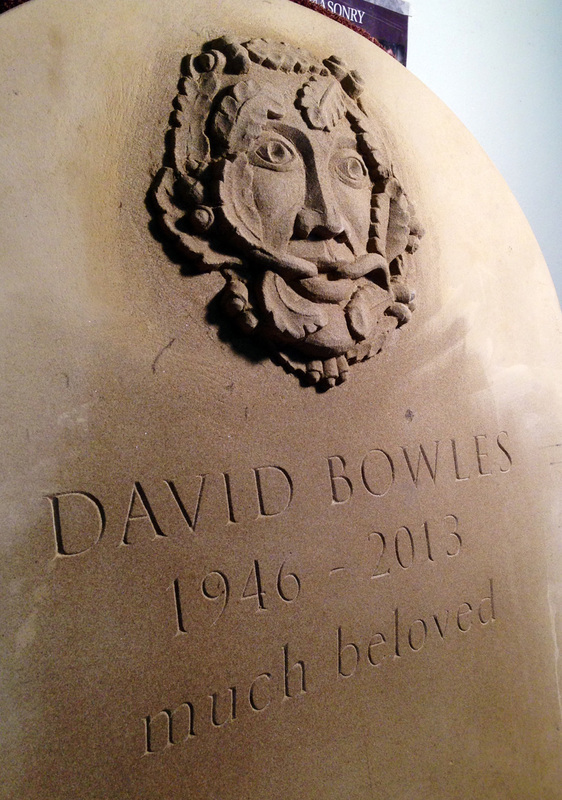 While the original sculpture was very 3-dimensional, the constraints of a gravestone meant I had to compress the projecting face into a relief carving, meaning it would be much flatter than David’s original. 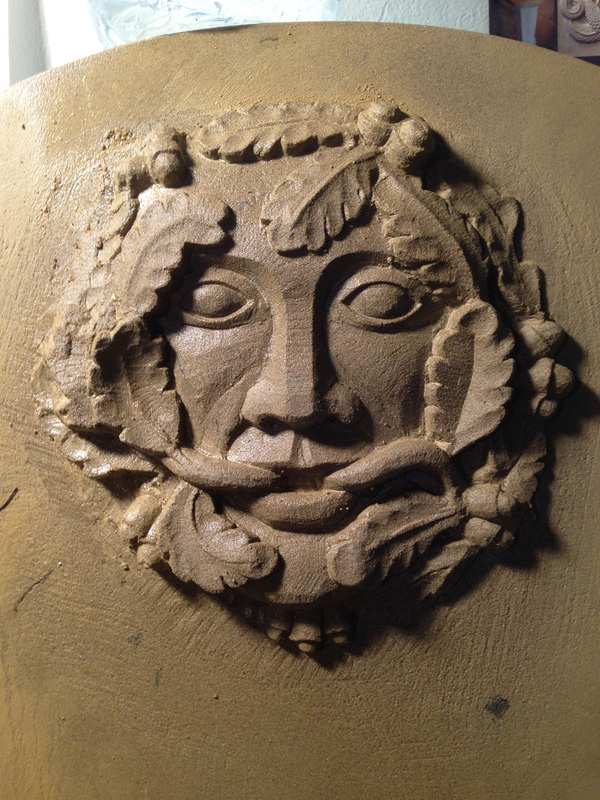 I ordered the York stone slab with a raised section for the Green Man, and got to work, roughing out the face. It’s a fascinating process, and one that requires precision. I always reapply the squares and features in pencil It’s amazing how the nose, eyes etc can wander if you just decide to free-carve. It’s a constant back and forth with reapply the pencil on the stone, measuring and carving. 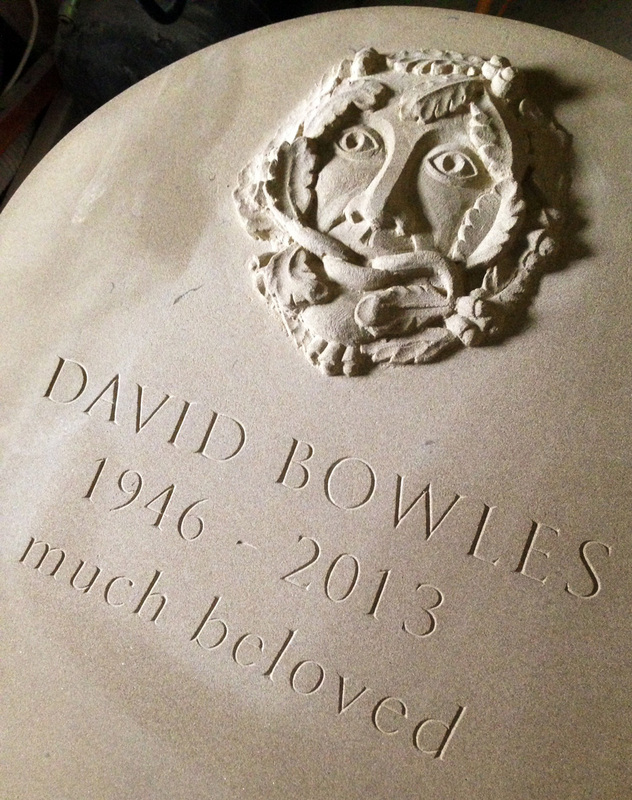 After adding the irises, the face was complete and then the letter-carving was begun. 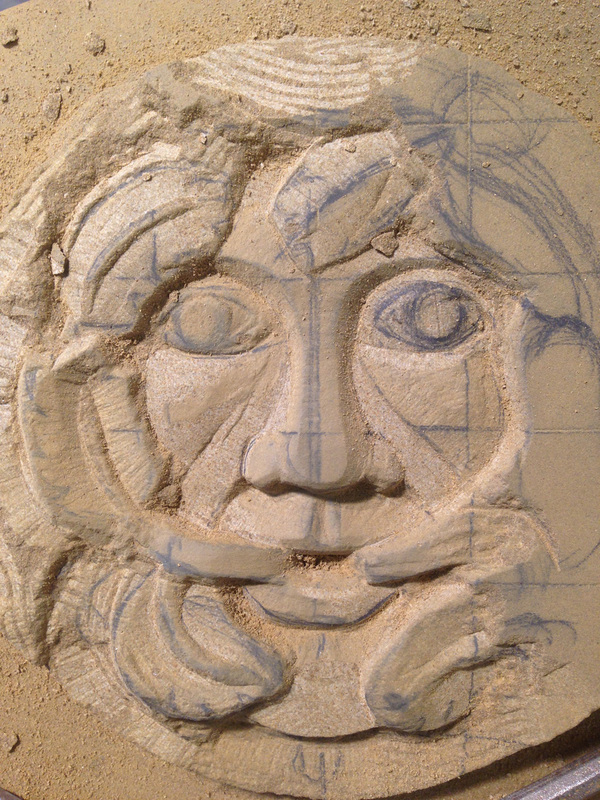 I traced it onto tracing paper then using carbon paper etched it on to the stone, then began to carve. 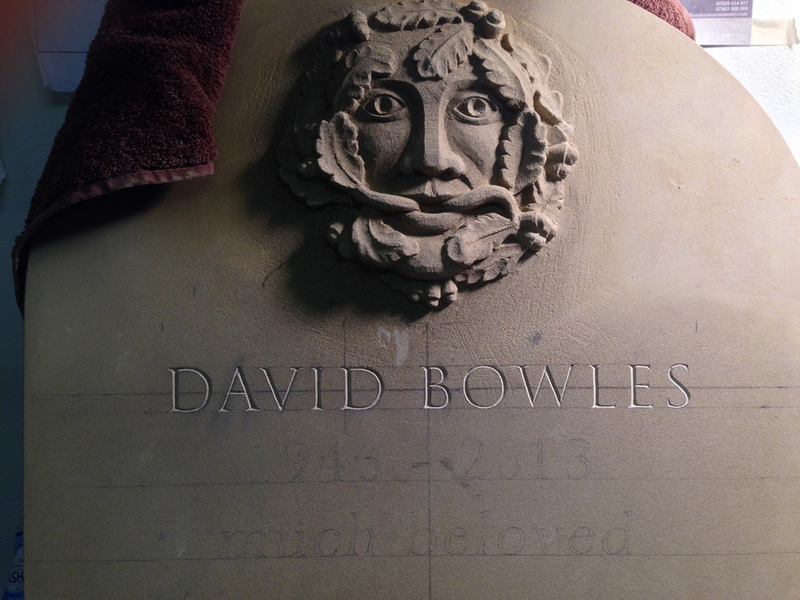 This is it prior to the final wet-rub where I get rid of all the chisel marks. You can see how compressed the face is compared to the original. 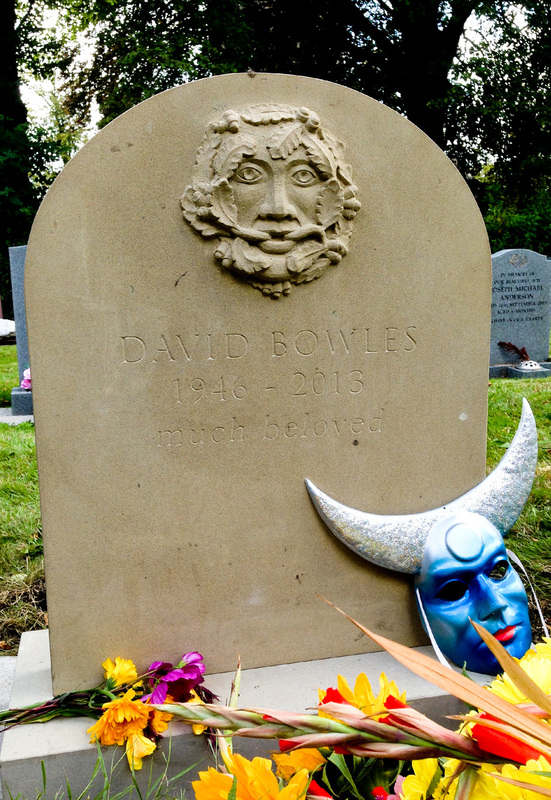 And here it is in situ in the village of Doulting, Somerset.